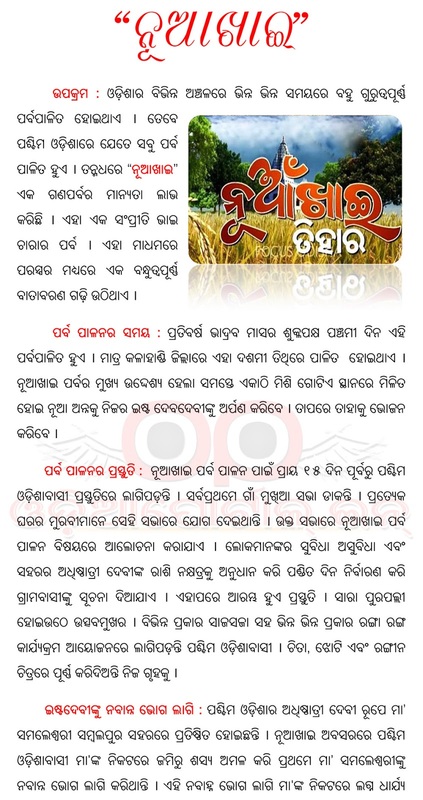 Nuakhai is an agricultural festival popularly observed by people of Western Odisha. Nuakhai is observed on panchami tithi (the fifth day) of the lunar fortnight of the month of Bhadrapada or Bhaadra (August–September), the day after the Ganesh Chaturthi festival. This is the most important social festival of Western Odisha. In Sambalpur, at the stipulated lagna (auspicious moment), the head priest of Samaleswari Temple offers the nua-anna or nabanna to the goddess Samaleswari, the presiding deity of Sambalpur . 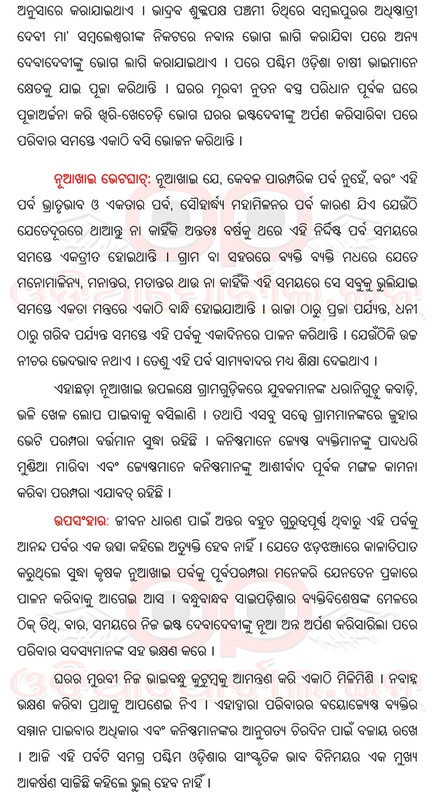 The following is the odia essay of "Nuakhai" festival for school children. You can download and print this essay.